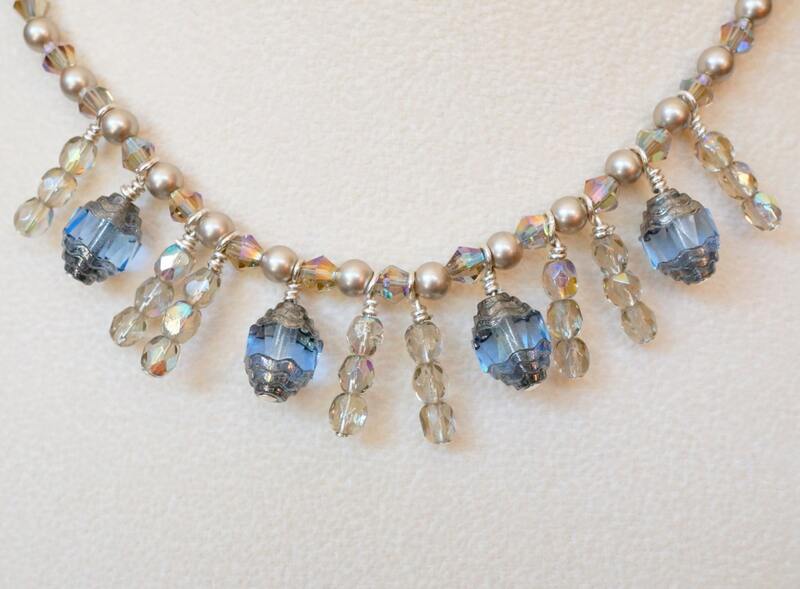 I made a Victorian Style piece of jewelry that is made for that special bride that wants that touch of blue around her neck. I have the matching earrings, sold separately. 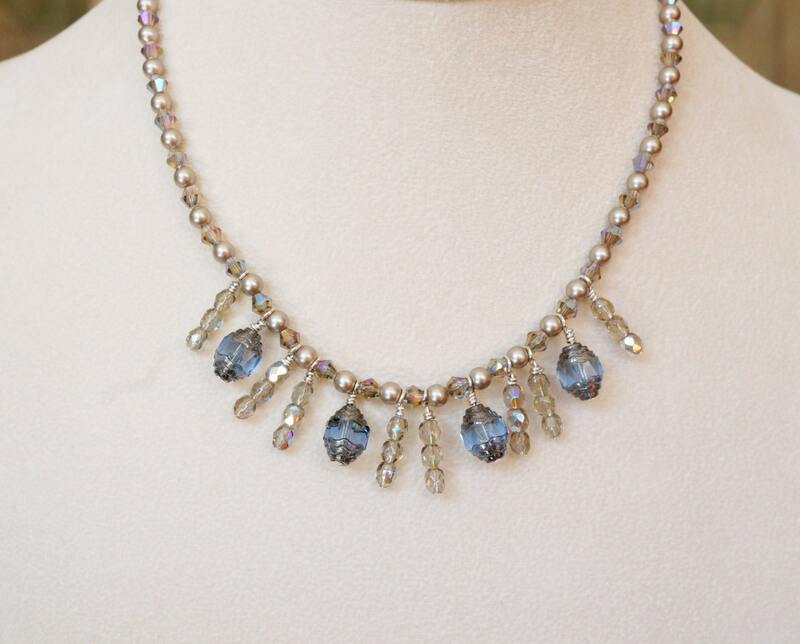 This necklace was designed around those light blue Czech Cathedral beads. I embellished them with Czech AB crystals and platinum Swarovski round pearls. 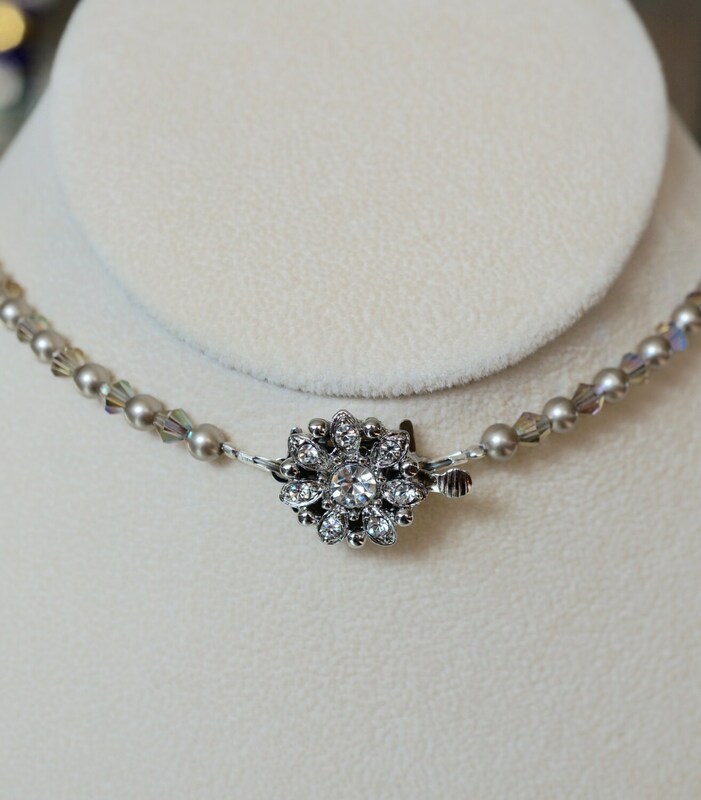 It all comes together with a gorgeous rhinestone pinch clasp.